Locking on the rage and getting the aim at the bull's eye can be an exhilarating experience. But it can also be downright depressing when you are way off the target. You’ve been walking all day tirelessly through the valley, straight through the canyon, and a few miles into the woods. Then, as soon as the losers-voice inside you start to whisper with desperation, 'it is over,' nearly a 100 yards away near the bushes, you spot your price. At that point, the only thing stands between you, and your meal is your razor sharp accuracy. You squat stealthily. You lift your gun to take the aim. Then you squeeze the trigger. 'The animal must be struggling hard to sustain the injury,’ you think to yourself. Just when everything starts to look real, the trail continues all the way into the woods. Like a daydream, it vanishes as if nothing ever happened. How strange? There is no blood anywhere - at least to encourage you the beast is hurt. What might have happened? Do nowadays animals don’t bleed on gun wounds? Did you miss? Sounds, like a real experience to you? Or do you know someone who went through the same angry ordeal? The experience is not worthy. It's shaming, regretful, and it hurts. The exact reason why Simmons 22 MAG 3-9x32mm Riflescope offers you a curation of design and features all wrapped in a small budget. The riflescope is an excuse exterminator, giving you a flee leeway to deliver the shinny-metallic object straight to the heart. Simmons 22 MAG provides you with a riflescope with craftsmanship at heart, balancing both aesthetics features with performance. The features are compiled together in a size of 15.2 x 3.2 x 3 inches, making the riflescope only weigh 9.6 ounces. The output is a lightweight equipment which delivers you from incurring extra price of weight. Consequently, you will increase your maneuverability leaving you to be more competitive at ranges, and all your hunting expeditions. Furthermore, you won't be disappointed with the design of grip system. Simmons 22 MAG riflescope has a rubber grip surfaces making it efficient no matter the shooting conditions. Moreover, dialing with gloves on is just as easy as using your bare hands. It does not matter whether it is foggy, rainy or dusty. The ability to see your target without distraction is what will make you a sportsperson you are or want to be. But you won't be a legendary gunslinger out of thin air if you own a riflescope that has a fuzzy glass or prone to scratches. 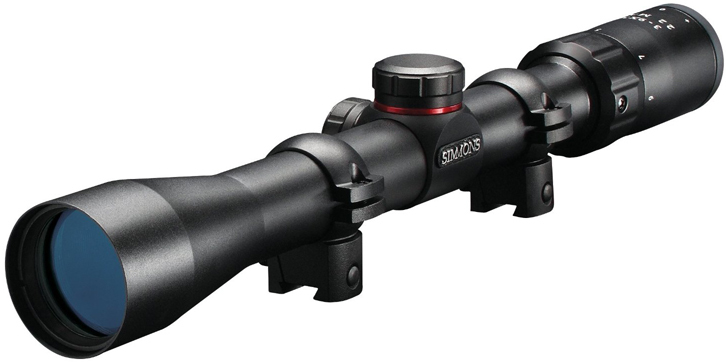 However, Simmon 22 Mag 3-9x32 Riflescope have a high-quality optical glasses to prevent such frustrations. You will be impressed to know that its optical lens is fully coated. For those who have to undergo a rough terrain with debris that can corrode your glass, this is good news. You simply do not want to miss your target due to a cheap quality glass that gets easily scratched and always fuzzy. We can’t go without mentioning the lens covers that comes with the Simmons riflescope. The covers will allow you to cup both ends of the scope when not in use or when you know you will not need to take a quick target. As a result, you won't find dust trapped in the glass - further adding a protection layer to your riflescope. Imagine during the sunny day, tired somewhere in the Savannah waiting for your prey, and you are not able to lock in due to a pesky anti-glare mechanism - it is not okay, right? That is why at minimal you will need to control the way the light gets through your riflescope. With the hydro-shield build within the Simmons riflescope, you will be able to increase light, control contrast, and manage the glare. Your aim will be precise while the field of view will be crystal clear. Furthermore, the hydro-shied improves images brightness and sharpness within a range of 100 to 200 yards consistently. Although not a praise to Simmons 22 Mag Riflescope, the 3.75 eye relief is pretty comfortable - on the downside it's not a guarantee. Having clarified that, it is important to note that it is relatively easy to acquire the target and take the aim. With the generous eye-box fitted in the scope and the magnification range between 3x-9x, Simmons .22 MAG is highly refined to allow both vertical and horizontal movements. Also, its design makes sure your back, and forth moves behind the scope are as comfortable as possible. One of the greatest deal you will get with Simmons 22 Mag 3-9x32mm Riflescope is the TrueZero adjustment system. The system even beats some of the, 'cutting edge’ highly priced scopes. In fact, when you combine the efforts of TrueZero flex erector and True Zero windage and elevation dials, the target become the aim, and the aim becomes your trophy. The riflescope dial design has a cutting edge ball bearing, and spring dented system that provides both tight and audible clicks allowing you to zero-in your target with precise and on a single trigger pull. Whereas, unlike the old gimbal and biased spring design, the flex erector system provides you with a firm attachment to the rifle body, which delivers high stability – a parallax correction up to 50 yards. Having a great piece of the riflescope is important no matter how much you are planning to use it. And knowing what is in for you will make a different between owning a rifle and been a gunslinger. Therefore, here is the list of what Simmons 22 Mag 3-9x32mm Riflescope have for you. Light weight – the Simmons 22 MAG riflescope only weighs 9 ounces making it a light attachment to your life. Quality high-end Lenses – both characteristics making it crystal clear to aim while hydro shield increases preciseness. Snappy rubber grip - The scope has a rubber surface that makes it easy to handle regardless of shooting condition. Deliver a cutting edge focus and zoom adjustments system – the high-end QTA enable you to have a refined zoom range between 3x and 9x. Low cost without sacrificing quality – The Simmons .22 MAG riflescope are high-end quality equipment with tons of feature that ships with a considerate price. What To Put You Off? Like everything else, there is something that will always put you off. And that does not exclude Simmons .22 Mag 3-9x32mm. That said, bellow are the red flags of this riflescope. The free rings are not worthy – The rings that Simmons add with this riflescope are a bit too small compared to standard Picatinny rails. But that should not be the concern if your rimfire is above 3/8" consider buying rings that fit your rifle separately. Lack of night vision enhancement - this riflescope does not have night vision therefore if that is your concern probably it might not be the best option. For those that night is not a big concern, this is a conventional riflescope. The short range of parallax enhancement - The parallax feature is great, but it is only useful for only 50 yards range. Therefore, if you are looking for a parallax for a longer range than 50 yards, probably you will be disappointed. 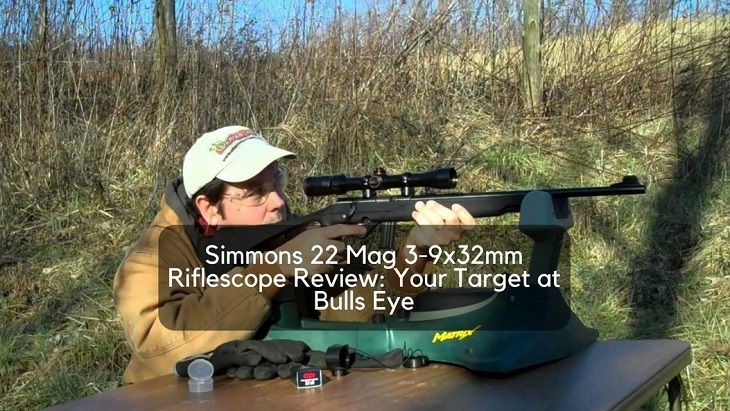 Based on the customer feedback and great review that Simmons 22 Mag 3-9x32mm Riflescope's receives, the tool is undoubtedly efficient in accuracy, handling, and more important its optical lenses offer clarity. Mostly, you will find the riflescope suitable for day-in-day-out for most of the rifle ranges, including heavy-duty air shootings (shoot the duck of the sky). Besides, you will have no reason to go back home without having a feeling of reverie after smashing targets and getting back home with a heavy meaty meal. 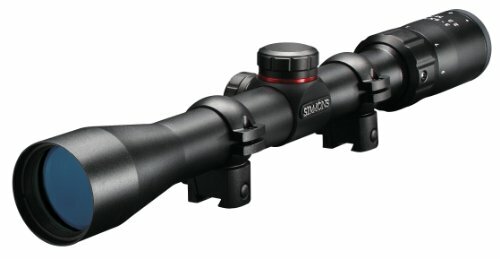 Overall, Simmons 22 MAG beats major high-end scopes. With features ranging from rubber grip, hydro shield all the way to True zero adjustment system, the riflescope is worth your dime. Furthermore, you will be even puzzled with how a few tweaks can transform the riflescope to fit rifles like Marlin Model 60, regardless been popular among Ruger 10/22.